09/07/2012 - Brandon Maisano, Eddie Cheever and Riccardo Agostini locked out the podium in Misano, being the only three drivers to jump on those three steps throughout the weekend at the circuit named after Marco Simoncelli. Race 3, as usually the 15' + 1 lap long sprint one, saw Kevin Giovesi start on pole with the Ghinzani-run Dallara. At his first start in the Series this season the driver from Milan tried to defend himself by a charging Maxime Jousse but in doing so he forced his rival on the grass and was consequently handed a drive-through penalty. This meant that Riccardo Agostini inherited the lead ahead of Eddie Cheever, who was always close but never enough to try a passing move. Euronova's Sergey Sirotkin seemed to be safe in 3rd place, but his left rear suspension broke at the end of the pit straight with just a few laps to go, gifting Brandon Maisano with an unexpected 3rd place. Maxime Jousse (BVM) ended the race just shy of the podium while Nicholas Latifi (JD Motorsport) was fifth and confirmed an improving feeling with his car. 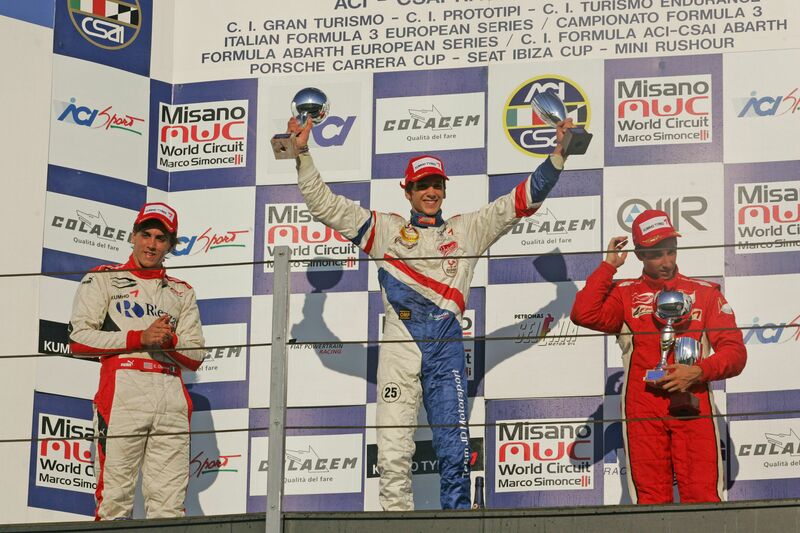 In the European Series standings Eddie Cheever (Prema) leads with 158 points, 6 more than team mate Brandon Maisano. Riccardo Agostini (JD Motorsport) lies third with 118 points, and is the actual leader of the rookie classification ahead of Sergey Sirotkin. The Italian F3 Championship is instead led by Brandon Maisano (89) with Cheever just 3 points adrift. Agostini is third with 60 points. The next F3 round will be hosted by Zeltweg in the 5 August weekend, on the renowned Red Bull Ring.